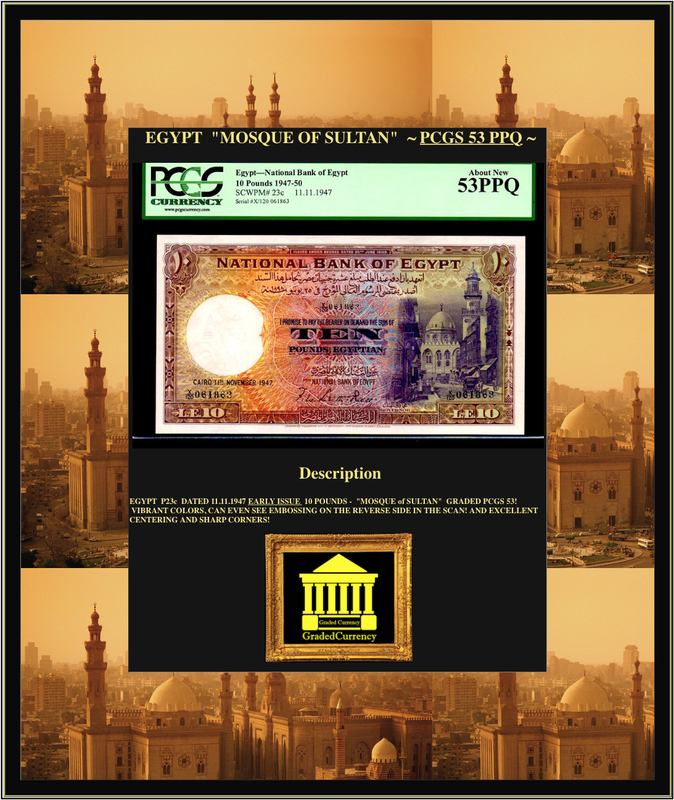 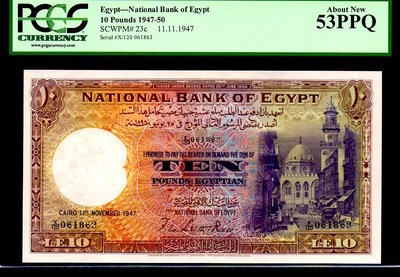 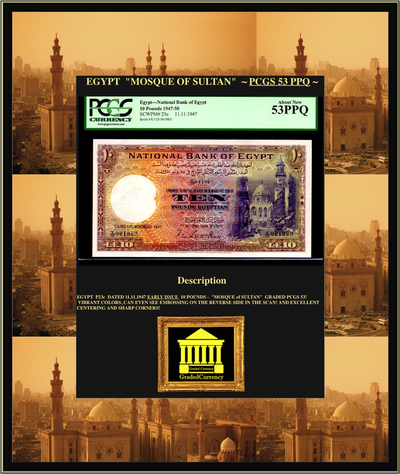 EGYPT P23c DATED 11.11.1947 EARLY ISSUE 10 POUNDS - "MOSQUE of SULTAN" GRADED PCGS 53! VIBRANT COLORS, CAN EVEN SEE EMBOSSING ON THE REVERSE SIDE IN THE SCAN! 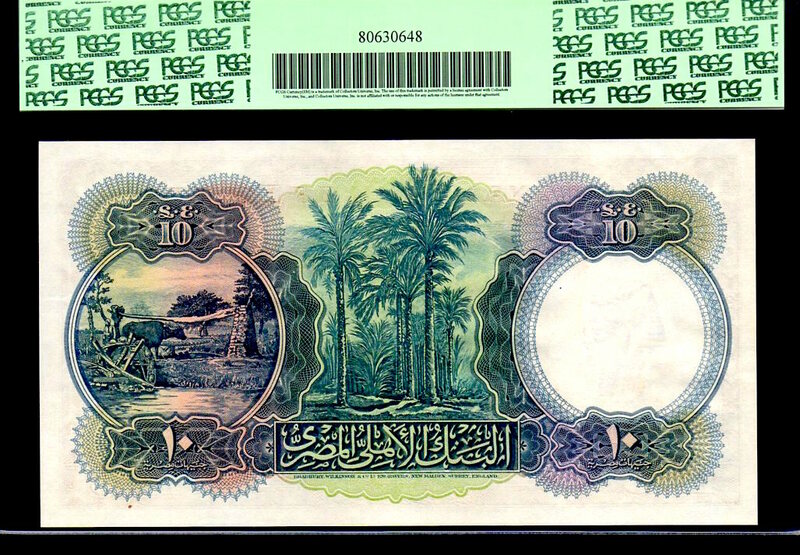 AND EXCELLENT CENTERING AND SHARP CORNERS!